For Catholics and other Christians concerned with church reform, a moving series of meditations on truth-telling. Is the reform we have seen in the wake of the pedophilia scandals in the Catholic Church meaningful? Have our conversations about the causes of these scandals delved as deeply as they need to? 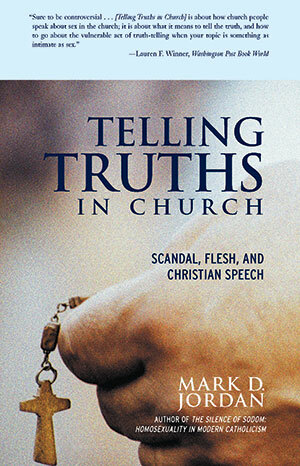 For those questioning the relations between hierarchical power, secrecy, and sexuality in institutional religion, Mark D. Jordan’s eloquent meditations on what truths about sexuality need to be told in church-and the difficulty of telling any truths-will be a balm and a revelation. -Donald Cozzens, author of Sacred Silence: Denial and the Crisis in the Church and The Changing Face of the Priesthood.